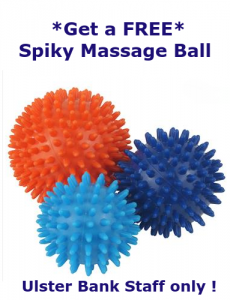 Get a *free* Spiky Massage Ball for filling out below survey … it’s that easy (Ulster Bank staff only – in Central Park, Leopardstown Dublin 18). 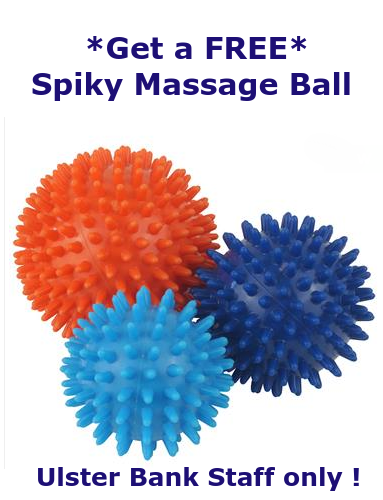 (3) What you need to get into a sustainable fitness and exercise routine or habit. I appreciate you taking time to fill out this questionnaire. The more information you can provide the more likely it is that I will answer your question or include your feedback in the online or in-person courses I’m running and videos I’m recording in the future.